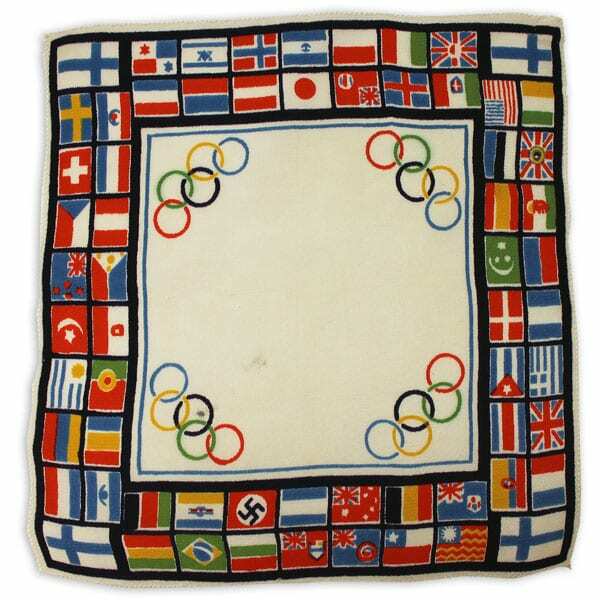 Description: Small cloth made for the Helsinki Olympic Games on 1940. White rectangular center with Olympic rings in the corners. On the outer rim flags of many countries, with the Finnish flag in each corner. Other information: On the list of licensees to the Olympic rings the company was entered as Kirjansitomo Tukeva. The same bookbinding company also made wallets for the Olympic Games.